Specifications are subject to change as we are constantly evolving to deliver excellent quality. Our reputed entity is engaged in supplying Camping Headlight. designed for hands-free lighting. Ideal for backup use. - type of lighting 30000mcd led. Kong Klik Micro Headlamp is ultra compact headlamp suggested for the use in camping, mountain retreat or in case of emergency. We are engaged in offering Camping Light Helmet. 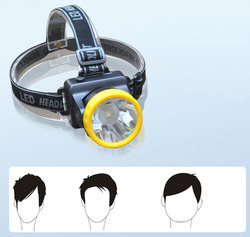 We are engaged in offering Headlamp Camping Torches.